Good morning, readers! For September’s interview, it’s a little different – it is apart of the blog tour for “If Only It Were Yesterday”! So there is a lot of extra fun going on here, including a giveaway, facebook party, and my review. So let us get on with this fun-filled post, shall we? Liz Cooke has two problems in life: Her social media is filled with brewing political conflict and her idea of a perfect man seems to have gone extinct a century ago. Inspired by the contents of an antique trunk, Liz dreams she time-travels to 1885. 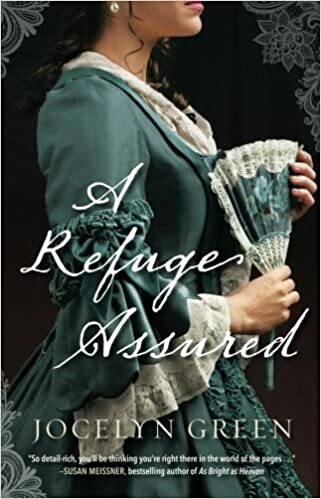 As she sets out to enjoy the Victorian era in all its glory, armed with knowledge gleaned through historical novels and period dramas, will she find the past to be all that she thought? And does the right man for her exist only in her dreams or has he been in her life all along? *Happy sigh* This was a perfectly delightful read! The first I’ve read by this author, but it most certainly won’t be my last! I read this as an e-copy, but I made quick work of securing a print copy for myself, because it was that enjoyable and I wouldn’t hesitate to read it again. There were so many pleasant nods to Alice in Wonderland, and I love the quotes scattered throughout. The Bible verses at the beginning of the chapters was a joy as well, and it was fun seeing how they were interwoven into the chapters. “If Only It Were Yesterday” portrayed the historical timeline in a realistic way, showing the beauty as well as struggles that we find today too. I loved the encouraging faith message in this book, and the reminder that God is in control and has placed us in the time period He knows is right for us. Being content where we’re at, and serving Him here. Thanks so much for having me! My name is Anita and I write under A.M. Heath. I write Christian Fiction. Most of what I pen is historical or historical romance. But I have some Contemporary/contemporary Romance under my sleeves as well. ;) But all my stories carry a message for the soul and a bit of clean romance. What inspired “If Only It Were Yesterday”? Me. Lol I inspired the novel. Seriously though, I had to learn the hard lesson about the trap of idolizing history and/or fiction. Once I saw reality a little more clearly, I couldn’t help but notice how many avid readers had fallen into the same trap. I wanted to reach out to them. I wanted to remind them that most of what we see in fiction is an illusion. While there ARE elements of reality, there are also a great deal of unrealistic elements. It blessed me abundantly to hear back from the early readers who admitted to being a little too much like Liz. But it’s an easy trap to fall into, especially when there’s so much around us that makes us discontent. From there, it’s only a matter of longing for that contentment elsewhere … never realizing that it doesn’t exist in our settings but ind Christ. Definitely Liz. I basically just allowed her to become me in many ways. Her natural curiosity. Her need to know what really happened. 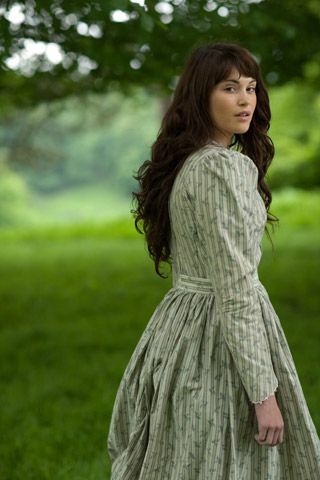 Her fixation on history and all things Austen. All of this comes from me. And because of that, this was probably the most natural story/character to write. She is her own person in other ways, but she also a great dose of myself. Lol I’m probably the most laid back person you’ll talk to about naming characters. It seems that everyone has a system except for me. I literally just start tossing around ideas, just whatever pops in my head. I also thumb through a list of era-appropriate names and jot down whatever jumps out at me. At that point, it’s just a matter of calling out names until the character answers to one of them. LOL Okay, I’m aware that this explanation makes me sound a bit crazy. But if you’ve seen The Man Who Invented Christmas, you’d understand. Dickens’ method in the movie actually IS my method. It’s worked well for me so far! And the characters really do come to life when you stumble upon the right name. I have a specific playlist that I like to play while I’m writing. I’ve found that most songs outside of that list tend to annoy me and distract me from my writing. Oh! Here’s another that I never knew was odd, but the more I talk to other authors, the more I find that it’s rare. When a new book idea is conceived (we’ll have to call it the plotting process because it’s typically the only real plotting I do) I tend to work with the last things first. Almost immediately, I’m hashing out title ideas, naming main characters, and visualizing my cover options. Once these things are established and I have a basic sense of my plot, I’m ready to start writing. And I don’t go far before I’m writing the clincher and ending scenes. I think for me, the most vital part of the plotting process, is to be able to visual the final product. To see those characters in their most crucial scenes and to have a solid idea of a the cover and title gives me a sense of direction that a detailed outline gives to a seasoned planner. I’ve tried several times to formally outline a story, but I can’t seem to do it. I use that finished imagine in my head to guide me. Knowing the title helps point me toward my goal and purpose for the story. I typically know the starting point and the end result, so I just wing it from there. Typically, it energizes me. I actually get weighed down if I don’t get to write for long periods of time. Editing and formatting drains me to no small degree, so I keep another draft in the writing process, so I can slip away and refuel with some creative time. SLOW DOWN! So many new self-published authors rush to finish their first book that it suffers as a result. I was one of those. I ended up revising my first book and re-releasing it the following year because I wasn’t completely satisfied with the outcome as the reviews started rolling in. With a traditional publisher, an author doesn’t have a choice except to wait until they’re picked up. But with self-publisher, the author is in charge of everything and it’s all too easy to let your eagerness put something out when you and the story isn’t quite ready. There’s a great network of authors who have helped me in various ways, some of which I’m just beginning to get to know. But Alicia G. Ruggieri, Amanda Tero, and Krista Noorman have worked alongside of me for several years. They’re always there to encourage me as well as help critique and line edit my work. I highly value their lovingly honest opinions. They, along with others on my team, push me to craft a better story. And there’s no substitute for talking shop with someone who knows what you’re going through. Normally, when I craft the plot, the spiritual theme is in clear view and a central part of the story. There have been a couple of times when the faith element was hidden and had to be layered on in order to bring it into focus properly. But, for me, it really is the heart of the story and the reason I’m penning one at all. They’re very proud. Some of the women in my family read my books. And my kids are always thrilled to see Mommy’s books in print. Lol My husband isn’t a reader so I think the whole tedious process baffles him. He’s told me multiple times that he doesn’t see how I sit in front of the computer as long as I do. Lol But I love it. 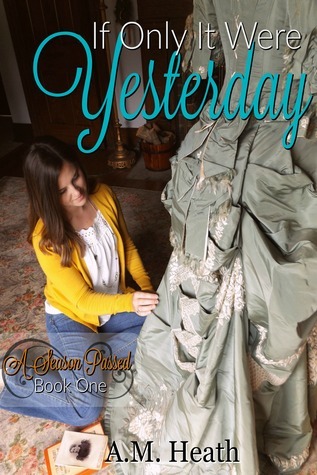 And lastly, would you recommend a book that my readers might like if they’ve read, or plan on reading, your latest, “If Only it Were Yesterday”? I’ve given this a lot of thought. The character, Liz, is such a fan of Jane Austen, so I don’t think you could go wrong by picking up one of her novels or any classic. But another would be Lynn Austin’s Wonderland Creek. The fact that it has Wonderland in the title is a fun coincidence. But I would recommend it because they’re both written in the first person and both main characters have an unfortunate addiction to fiction which leads them astray and brings them to some tough lessons. Thank you for the wonderful interview, Anita! I so enjoyed your answers, and you’ve been a joy to get to know!! 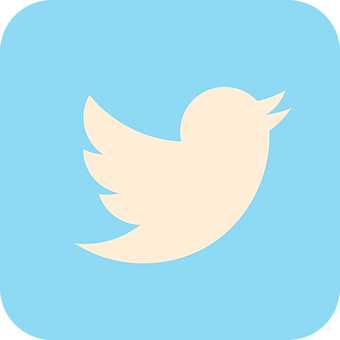 You can visit me online on Facebook, Twitter, Goodreads, Pinterest, and my blog. 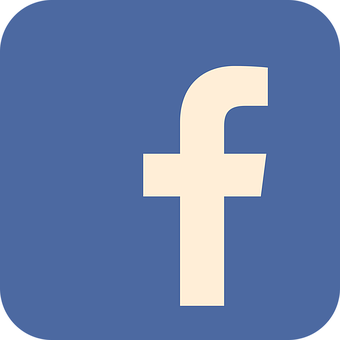 *Note: I’m most active on Facebook and my blog. Facebook party! Click on the graphic below to join! And don’t miss out on the give-away!! Click on the graphic below to go to the giveaway and enter! Also, catch up on the other stops of this blog tour! **I also did a Character Introduction post featuring Liz Cooke from “If Only It were Yesterday” – you can check that out here! Author Interview: Lindsay Harrel! With GIVEAWAY! Good morning, and happy Monday! Today, not only do I have an amazing author interview to share, but she’s also offered a GIVEAWAY to go along with it! Isn’t that fantabulous? I fell in love with “The Heart Between Us”, and knew I’d love to have Lindsay Harrel for an author review. And when she offered a giveaway – well, goodness, what fun! Keep reading to find all the details, and don’t forget to enter for a COPY of “The Heart Between Us”!! Sure! 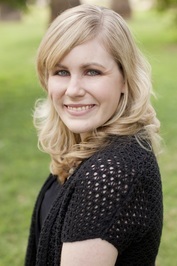 My name is Lindsay Harrel and I write inspirational romantic women’s fiction. Thanks so much for having me! Thank you for your kind words. I heard a radio feature story on K-LOVE or some other station about a woman who went sky diving because her heart donor had always wanted to do it and never got to. It just made me ask the question, What if someone fulfilled her heart donor’s entire bucket list? In “The Heart Between Us”, is there a character that you relate best to? And if so, why? Yes! The story is about twin sisters Megan and Crystal and how they have both been affected by Megan’s long-term illness and subsequent heart transplant. When I was first going to write the book, it was just going to be Megan’s story and Crystal was just the antagonist who was overprotective and didn’t understand Megan. But my agent challenged me to dig deeper and tell Crystal’s story too. When I did, I discovered a character who had been deeply affected by living with a sick sister her whole life. I could relate, since my mom was sick for many of my formative years. Between that and Crystal’s penchant for defining herself by her achievements, she became the character I related to most. Not really. I always look up common baby names in the year the character is born and when one pops out at me as feeling “right” for the character, I choose it. Funny though—I didn’t do that with Megan’s character at first. I chose Maddie because I liked the name, but I got the comment that it made the character feel for high school age, not 32. So I went back, applied the process mentioned above, and chose Megan (I also have a good friend named Megan so that was a bit of fun in choosing that name). I don’t know if it’s a quirk, but I really prefer silence when I write. I also can’t stand the idea of only writing part of a scene; if I’m going to write, I try to finish an entire scene in one sitting. It feels incomplete to me to write only, say, 500 or 1000 words at a time! Megan in “The Heart Between Us” is fulfilling the bucket list of her heart-donor; Do you have a bucket list yourself? It’s not something I’ve actually written out, but yes! At the top right now is visiting Italy with my husband. Great question. I think both. I actually don’t care as much for the drafting stage of writing (I much prefer editing! ); the blank page is a bit intimidating to me. But I am energized by the thought that I get to live my dream. It’s also exhausting to pour yourself and your emotions out on the page, and to be a good writer, I think you have to be constantly doing that. I’ve read all sorts of Christian fiction, and the ones that resonate with me the most are those that infuse faith organically. So that is what I try to do. Some stories require more actual mention of faith; with others, the character kind of just has this misconception about God and has an epiphany at the end, but faith isn’t constantly mentioned. I think it just depends on what the story calls for. But because I am a Christian, I can’t help but write stories from that perspective and worldview, so I think in that sense, my stories will always be faith filled. They are 100% supportive! Of course, my boys (who are 1 and 3.5 years old) don’t really understand it. But my husband is amazing in giving me time to write when I’m on deadline, and my mother-in-law and stepmom help with the kids too. “The Heart Between Us” visits many places all over the world – have you traveled much in your life, and did you make any special travel-plans during the writing of this book? In college, I took a study abroad trip to England, Ireland, Scotland, and Paris one summer. It was amazing and definitely shaped my desire to write about those places. I have wanted to go back, but my husband and I haven’t had the time or money. But we are saving and dreaming! I am blessed to be friends with SO many in the writing community, and have been craft and brainstorming partners with Gabrielle Meyer, Melissa Tagg, and Alena Wendall. I’ve also been mentored by incredible authors like Susan May Warren and Rachel Hauck. All of them challenge me to do deeper with characters and—more than anything—they just encourage me when I’m down and help keep me grounded and rooted in the things that are most important on this writing journey. I’m so glad my writing life isn’t a solitary endeavor. And lastly, would you recommend a book that my readers might like if they’ve read your latest, “The Heart Between Us”? I think readers who enjoyed The Heart Between Us would enjoy anything by Katherine Reay, specifically Lizzy and Jane or her latest, The Austen Escape! image found on google; I do not claim any rights to it. Thank you so very much, Lindsay Harrel! And now, how about we get to that giveaway! DETAILS: Lindsay Harrel is offering 1 (one) print copy to be given away to one reader! Follow the link below to enter this lovely giveaway – trust me, you don’t want to miss this book! Giveaway will start TODAY and will end SUNDAY the 10th, and the WINNER will be announced next MONDAY with the Character-Spotlight post, so be sure to check back!! Click the graphic to be led to the giveaway widget, or click here. Best wishes on the giveaway!! Welcome to another Author-Interview Monday! I am beyond pleased to be sharing this author-interview with Connilyn Cossette for May! I adore her books. <3 When she replied to my inquiry about an interview, I was overjoyed to say the least. :) Hope you enjoy it as much as I have!! 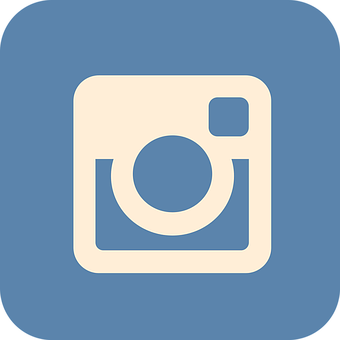 Hi Raechel, Thank you so much for inviting me to your blog! My name is Connilyn Cossette (and yes that is my real name, not a nom du plume). I am the author of the Out from Egypt and Cities of Refuge Series with Bethany House Publishers which are Biblical Fiction (although I like to call it “outsider Biblical fiction” because my main characters are fictional, not people from the Bible). I have recently moved from Texas to North Carolina with my hubby of twenty years and my two kids, 11&13, whom I homeschool. So being a writer and a homeschool teacher on top of just doing my day to day stuff, my life is a little crazy, but its a good crazy! Aren’t they all so gorgeous?! And so excited for the next book! Of your books, is there a character that you relate best to? And if so, why? Probably Shira from Shadow of the Storm. My kiddos came to me by adoption as well, so my struggles mirror Shira’s in many ways. I also tend to be a glass-half full person, and sometime my rose-colored glasses end up shattered, but it does help me to look for the best in people. And, like Shira, music is also my worship language. I sometimes like to write with my eyes closed. It allows me to be fully inside the scene to experience and build the sensory details. My son saw me doing it the other day and freaked out how accurately I can type with my eyes closed! Although at times it makes for some interesting spelling or words that I cannot decipher at all later. It energizes me unless I come to a wall and can’t find my way past it. But thinking about stories, talking about stories with my writing pals, crafting stories, and polishing stories through editing are all pretty much my favorite things in the world. Faith is absolutely central to what I do. My heart is to draw people to the Word by sparking interest in the cultural and historical context through story form. I am not out to re-write the Bible, but only to spur imagination about what it might have been like for people whose lives connected in some way with all those Bible characters (who were real people!) that we know so well. To read more in different genres, to write what you would want to read instead of trying to copy anyone else’s style. To be okay with the weirdness of your brain and the fact that a lot of “normals” may just not get your particular brand of quirkiness. To not waste time or energy on second-guessing yourself but instead be brave and bold about who you are and the passions that God hard-wired into you. I am about halfway done with the third book in the Cities of Refuge Series (and yes, that means I am SUPER behind) but otherwise I only have one half-finished novella sitting on my laptop that hopefully someday I will get around to working on, since it ties in with my Out from Egypt Series. Nicole Deese and Tammy L. Gray are my bestie writing gals, we Google Chat every week now that I have moved across the country. They constantly challenge and inspire me to be a better writer. I don’t think I would have near the drive, the writing speed, or staying power to do what I do without them. We have developed a deep trust between us that allows us to be completely honest when something just doesn’t work and a willingness to take criticism without offense because we know that we all want each other’s work to be the best it can be. And lastly, would you recommend a book that my readers might like if they’ve read your latest, “A Light on the Hill”? I can’t think of a specific book off the top of my head, but I always recommend any Biblical Fiction by Roseanna White, Mesu Andrews, Francine Rivers, Stephanie Landsem, or Tessa Afshar. These ladies write God-honoring stories that point readers back to the Word. Thank you so very much, Mrs. Cossette! That was delightful! I can’t express just how much I love reading author’s answers to these questions, and getting to know them more. It feels like such a special experience and honor! Writing with her eyes closed – love that, because I do that too. ^.^ It works well! Welcome to the third Author-Interview Monday on this blog! 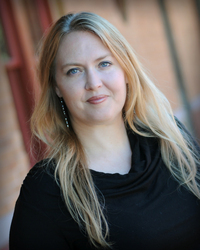 I can’t wait to share this lovely interview with author Sarah Sundin herself! Like, so excited. I’m a huge fan, and so to have her here on the blog – yep, pretty amazing!! I won’t keep you in suspense any longer…here’s the interview!! 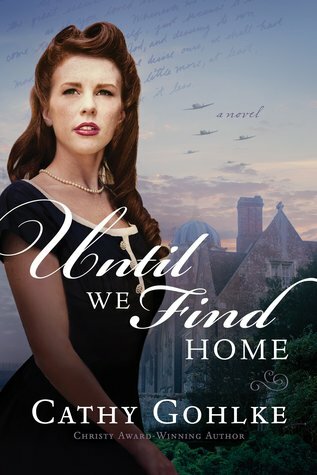 My name is Sarah Sundin, and I write historical romance set during World War II. I relate to all my main characters. When I write a novel, I really try to get into the skin of my hero and heroine. Before I begin the rough draft, I explore their lives up until the story begins, their personalities, fears, secrets, dreams, and hopes. In the process of writing, I imagine the story through the lens of their experiences. I feel like I get very close to them. Names are very important to me. Sometimes the character’s name is just there, and other times I have to work to find it. Baby name books are very helpful, and I look at timeliness of names, ethnicity, and meaning as well as if it seems to fit the character. For Wyatt Paxton’s name in The Sea Before Us, I thought I might want a name with a meaning related to the sea, since he’s a naval officer. I found Wyatt, which means water, and it sounded like an appropriate name for my hero from Texas! For Dorothy Fairfax, I chose Dorothy because it was very popular in that time period and it just fit her. I don’t know if it’s a quirk, but I do a lot of pre-writing. I fill out character charts, plot charts, and more. Lists and color-coding and timelines make me very happy! It usually energizes me. The plotting phase sometimes feels like a wrestling match as I’m trying to make the story and history and characters fit a structure, but it’s thrilling when it comes together. And the rest of the writing process is a blast—I love character development, research, the rough draft, and editing. 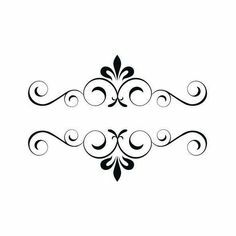 How important to you is the faith-element in your writing? Very important. Each of my main characters has an issue to deal with—a sin issue, a faith issue, or a flaw he hasn’t dealt with. The events of the story forces him to turn to the Lord in order to grow and change. Snicker. My husband is a pharmacist and he married a pharmacist—who turned into a novelist. It was kind of disorienting for him. He’s come to support his wife’s strange new career. When my daughter was a teenager, she thought my writing career was my way to torture her. She’s grown out of that now, thank goodness. My grown sons are great supporters and avid readers! My youngest son, a sailor in the Navy based in Japan, had his picture taken with one of my books at the top of Mount Fuji! I’d tell her to relax, be patient, and enjoy the writing process. I was so eager and anxious to get published—as are most beginning writers. But discovering the joy of writing was a time to be savored and to explore. I have two complete unpublished novels and an unpublished novella. The novels will never—and should never—be published. But they served their purpose and showed me I could finish a full-length novel. As for the novella, I’m still fond of it and would enjoy doing something with it someday. One of the joys of belonging to the Christian writing community is meeting dozens of authors. Some have become critique partners, some have become publicity partners, and some have “just” become dear friends. It’s an incredible blessing! And lastly, would you recommend a book that my readers might like if they’ve read your latest, “The Sea Before Us”? Recently I’ve read and loved Kristy Cambron’s The Lost Castle (one of the three timelines involves the French Resistance leading up to D-day) and Jocelyn Green’s A Refuge Assured. 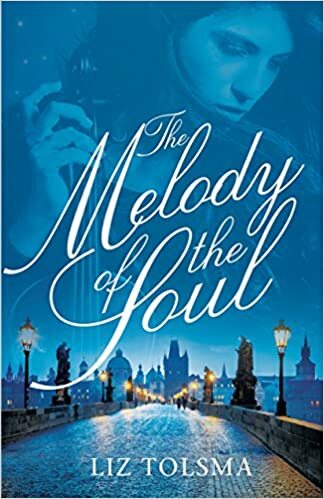 Next on my to-be-read pile are two more World War II novels, Cathy Gohlke’s Until We Find Home and Liz Tolsma’s Melody of the Soul. Thank you so very much, Mrs. Sundin! If you’re interested, you can also read my review of “The Sea Before Us” here. *Some of the images are stock-photos or taken from Amazon/Goodreads. I don’t claim any ownership to those ones. Welcome to the second Monthly Author Interview! I’m just tickled pink to be able to interview such lovely authors. :) This month I have the delight of interviewing author MacKenzie Morganthal! Her name may be familiar to you readers because this isn’t her first time on my blog. Just type in her name in the ‘search box’ on the sidebar, and several posts will pop up – they’re all fun reads, with her book’s blog tours, some character spotlights, and more interviews. Welcome once again, Miss Morganthal, to my “Peculiar” Blog! I’m so happy to have you here on this return visit! For the benefit of new readers here, would you please introduce yourself and the genre of books you write? 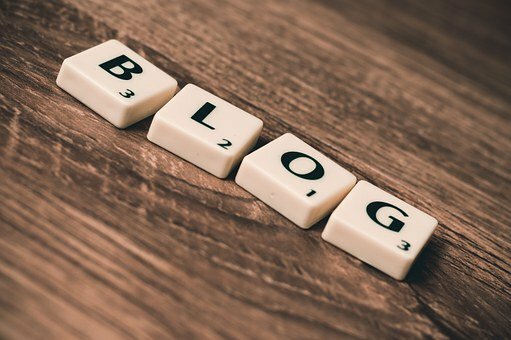 I’m so happy to be back here at your lovely blog! :) I’m MacKenzie Morganthal and I write contemporary Christian fiction novels. I’ve been writing since I was about nine years old and have loved it ever since! My two published books are part of my Mission for Freedom series, and deal with the topic of human trafficking. My passion is to raise awareness and education about this topic of human trafficking, and I’m thankful for the opportunity to do that through my writing. When I’m not writing, I love music, the creative arts, and working as a teacher aide with the goal of being a teacher someday. In your two released books, “Not Abandoned” and “Out of the Dark”, we primarily get to know sisters Haley and Avery Hampton; was one easier to write than the other? And if so, why? Well, I guess I would have to say that when I write I like to format the size of my pages in my document before I start writing…weird, I know! I don’t have to do all the formatting right away, but if I’m starting a new novel it has to be on 5.5 x 8.5 paper and I like to fix my margins also before starting to write. If I’m writing an article or short story, I don’t mess with the formatting first, but I guess it’s just a quirk I have for novels! I would have to say…energize, but it can also be exhausting, especially when I put deadlines on myself. I participated in NaNoWriMo this past November, and writing was the only thing I had time for and I still struggled to finish on time. (But I did finish!) So that was very exhausting. But for the most part it’s energizing for me, especially when working on a novel I’m really excited about, and I don’t have deadlines on myself, and I can just enjoy writing when God gives me the inspiration. It is very important to me! I have not written a book that does not have some kind of faith element in it. Without God, I would not have the gift of writing, so I can’t imagine leaving Him out of it. If I couldn’t include faith in my books, then I would have no purpose for writing. To me, books are more than just a few hours of entertainment. They have the ability to impact people, and if I’m going to be impacting people, then I want to be impacting them for Jesus and not myself. I think they like it ;) Haha! Truly, they have been my biggest fans and I couldn’t do this without them. Their feedback is very important to me, and it’s always really encouraging when they say things like “I couldn’t put it down!” I’m so thankful for their support and love. Ooh, that’s a tough one. I think I would say to remember to be yourself. Don’t try to make your writing please everybody else. If you’re writing for God, then that’s all that matters. He’ll place it in the hands of those who need it. And just have fun! Writing should never be a chore. God gave me this gift to enjoy and have fun with. Don’t worry about being the next bestseller, just focus on enjoying every moment of the journey. My sister is my number one writing inspiration! She has worked so hard on expanding her writing platform and really puts her whole heart into it. Her example pushes me to better my writing and follow her lead. She’s amazing, and I hope to be at least half the writer she is someday. And of course my best friend, also you, Rae! =D Rae is an amazing writer, but you readers already know that if you follow her blog! I mentioned before that we are currently collaborating on a novel together…I kinda squeal excitedly anytime I talk about it. But writing alongside her has been so wonderful and she definitely helps me to be a better writer. I couldn’t write this new book without her! And I’m going to stop myself from talking about this new book now, because I could go on forever about it. Seriously. Y’all are going to love it. And lastly, would you recommend a book that my readers might like if they’ve read your Mission for Freedom series? Well, I absolutely love Lisa Harris, and her series Southern Crimes or Nikki Boyd Files are police mystery novels similar to my Mission for Freedom series. “Vendetta” book one in the Nikki Boyd Files was my favorite! I love police suspense/mystery novels, so I read a lot of them as inspiration for my Mission for Freedom series. 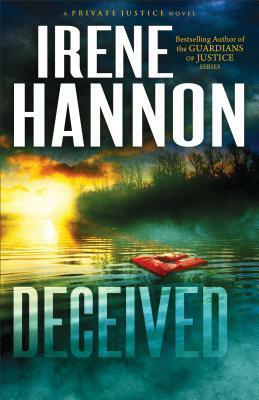 Irene Hannon also has great mystery/suspense novels, and I really enjoyed “Deceived” in her Private Justice series. 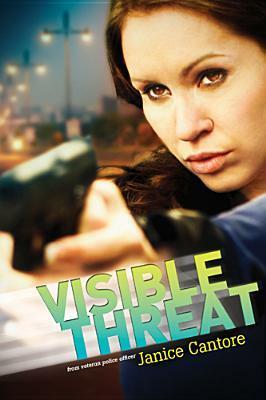 Another great book similar to mine is “Visible Threat” by Janice Cantore. I loved this one, and it also dealt with the topic of human trafficking like my series does. Thank you so much, Miss Morganthal!! Do you have any questions for MacKenzie Morganthal? I know she’d be pleased to answer them, if so. :) Just comment below!